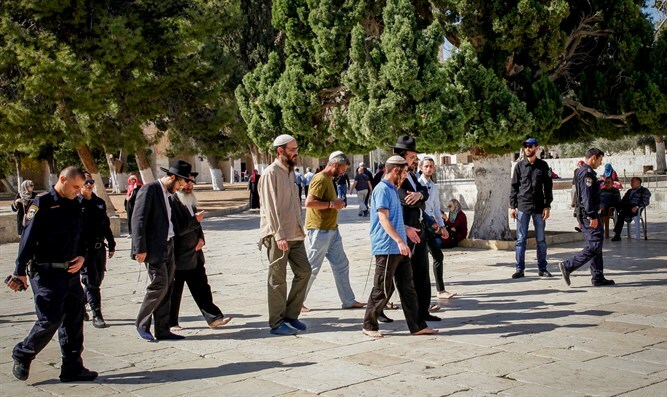 Religious Zionist Rabbis visit Temple Mount, protest police attitude towards youth ascending Mount. More than 50 religious Zionist rabbis ascended the Temple Mount Tuesday, before meeting with police to discuss access to the holy site. Among those ascending were Rabbi Yisrael Ariel, head of the Temple Institute, Rabbi Menachem Makover, head of Vharenu B'vinyano, Rabbi Shlomo Rosenfeld, head of the Shdemot Mehola Yeshiva, Rabbi Chaim Ozer Chayat, community rabbi in Modi'in (student of Rabbi Moshe Feinstein), and Rabbi Yitzchak Levi of Yeshivat Har Etzion. Also participating were Rabbi Yehuda Kroizer, rabbi of Mitzpeh Yericho, Rabbi Daniel Shilo, former rabbi of Kedumim, Rabbi Yitzchak Brand of Emmanuel, Rabbi Chevron Shilo, Rosh Yeshiva of the high school in Otniel, Rabbi Eliezer Shinkolavsky, community rabbi in Beit Shemesh and Av Beit Din of the Eretz Hemda monetary rabbinical court. The police commander of the area, Chaim Shmueli, explained to the rabbis the regulations regarding visitation to the Temple Mount and efforts to improve conditions for Jewish worshipers with due caution and sensitivity. 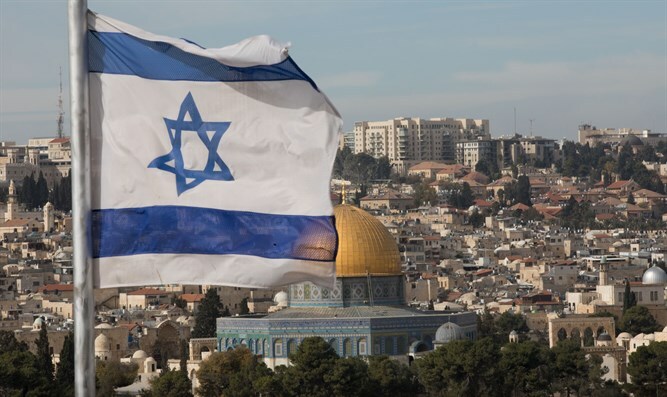 One of the rabbis expressed his frustration to the area commander about the recent arrests of young people active on behalf of Jewish visitation rights on the Temple Mount. The commander replied that the police were implementing a policy according to which action must be taken against anything that is considered a breach of order.